It is my honour to welcome the participants of the U24 European Championships on behalf of Polish Modern Pentathlon Association and myself to this hospitable “Pentathlon Centre” in Drzonków. 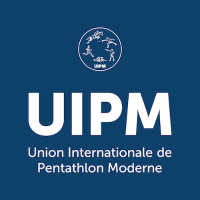 The competition of this rank in this particular age category is held for the second time and again in one of the best and most impressive pentathlon centres in the world. Drzonków has hosted top pentathletes including gold olympic medalists and world champions. The facilities witnessed competitions such as World Championships, senior, junior European Championships and World Cups. Pentathlon is a beautiful yet incredibly challenging discipline that lives according to Pierre de Coubertin’s rules. It calls for various renunciations, self-discipline and work ethics therefore qualifying for your national teams is a remarkable achievement to be proud of. I wish all of you breaking records, fulfilling your dreams, climbing the pentathlon ladder that leads to Olympic Games and the medals. And I wish the coaches satisfaction with the results and thrilling notions that will remain in your memory for years.